Are you a home buyer in search of your next home? We can help! Whether you are a home buyer relocating to The Lewis-Clark Valley or a local simply moving down a block, The Windermere All Star Realty Team can offer home buyers a set of powerful services to buyers. The team of capable agents are able to take care of the heavy lifting and allow buyers to relax during the sometimes difficult home buying process. Windermere All Star Realty maintains a state-fo-the-art site in keeping with the latest real estate technologies. Always up-to-date with the most recent real estate listings, home buyers may either Search or browse the Featured Listings Section of the site. The property listings on the site are current with high-quality photos, descriptions of the listings, and other important property information. Area home buyers may also Sign Up to receive upsates of the latest area listings that match their criteria by using the site's My Home Tracker feature. The agents at Windermere All Star Realty offer area home buyers valuable insights into the home buying process. Within the Buyers Resources Section, home buyers are able to find the answers to the questions most frequently asked during the home buying process. 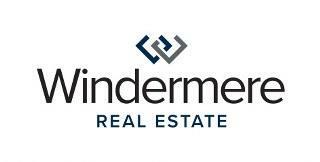 The Windermere All Star Realty Group are local real estate experts. Their commitment to the community is unparalleled, as they are also involved and active members of the community who are proud to call The Valley home. Home buyers relocating to the area will benefit from the team's local expertise. Additonally, the team is able to provide Community Information about specific areas by way of a Neighborhood Report. The report will give buyers a look at the community and its statistics, such as crime data, area schools, houses of worship, and much more. The Windermere All Star Realty Team works hard to help their clients achieve their home buying dreams. From the home search to negotiations, The Windermere All Star Realty Team is there every step of the way. The Windermere All Star Realty, works closely with home buyers, and strives to understand and meet all of their real estate goals. For more information about homes for sale in The Lewis-Clark Valley, contact Windermere All Star Realty today.